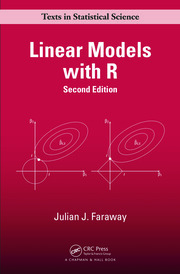 * A thorough treatment of classical linear and generalized linear models, supplemented with introductory material on machine learning methods. * Since classification is the focus of many contemporary applications, the book covers this topic in detail, especially the multiclass case. * In view of the voluminous nature of many modern datasets, there is a chapter on Big Data. * Has special Mathematical and Computational Complements sections at ends of chapters, and exercises are partitioned into Data, Math and Complements problems. * Instructors can tailor coverage for specific audiences such as majors in Statistics, Computer Science, or Economics. * More than 75 examples using real data. The book treats classical regression methods in an innovative, contemporary manner. Though some statistical learning methods are introduced, the primary methodology used is linear and generalized linear parametric models, covering both the Description and Prediction goals of regression methods. The author is just as interested in Description applications of regression, such as measuring the gender wage gap in Silicon Valley, as in forecasting tomorrow's demand for bike rentals. An entire chapter is devoted to measuring such effects, including discussion of Simpson's Paradox, multiple inference, and causation issues. Similarly, there is an entire chapter of parametric model fit, making use of both residual analysis and assessment via nonparametric analysis. Norman Matloff is a professor of computer science at the University of California, Davis, and was a founder of the Statistics Department at that institution. His current research focus is on recommender systems, and applications of regression methods to small area estimation and bias reduction in observational studies. He is on the editorial boards of the Journal of Statistical Computation and the R Journal. An award-winning teacher, he is the author of The Art of R Programming and Parallel Computation in Data Science: With Examples in R, C++ and CUDA. Example of the Description Goal: Who Clicks Web Ads? Example: Do Baseball Players Gain Weight As They Age? After Fitting a Model, How Do We Use It for Prediction? Crucial Advice: Don't Automate, Participate! How Do We Use Models for Prediction? One vs All or All vs All? Why the Concern Regarding Balance? Why Use Random/Mixed Effects Models? Small Area Estimation: \Borrowing from Neighbors"
When Might Shrunken Estimators Be Helpful? Norman Matloff is a professor of computer science at the University of California, Davis, and was a founder of the Statistics Department at that institution. 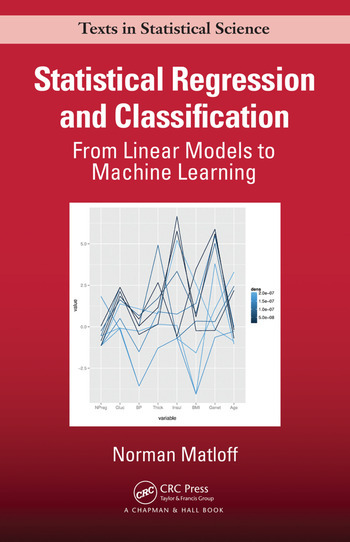 Statistical Regression and Classification: From Linear Models to Machine Learning was awarded the 2017 Ziegel Award for the best book reviewed in Technometrics in 2017. His current research focus is on recommender systems, and applications of regression methods to small area estimation and bias reduction in observational studies. He is on the editorial boards of the Journal of Statistical Computation and the R Journal. An award-winning teacher, he is the author of The Art of R Programming and Parallel Computation in Data Science: With Examples in R, C++ and CUDA.